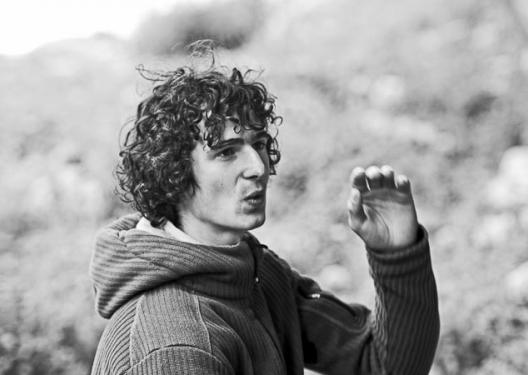 It’s already been a little over one year since the 4th of October 2012, the day Adam Ondra climbed Change. The route was his biggest project in the cave of Hanshelleren in Flatanger and he proposed it as his first 9b+ ascent, his hardest ever at the time. This last September, we met Adam in Denmark during the inauguration of Blocs & Walls, the brand new climbing gym of Copenhagen. We had a chat and went through some of the great things he managed to achieve on rock since he completed high school, but we also talked about what’s still work in progress. 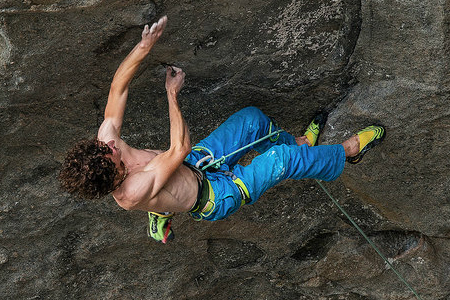 The young Czech’s passion is in fact an unstoppable drive and Adam never puts his feet up: he is always thinking about becoming a better climber for his next project. Hi Adam, good to see you! Between the end of high school (late spring of 2012) and the beginning of your university studies in native Brno (October 2013), you’ve had a 15 month period which you could dedicate solely to climbing. Never before in your life you had the possibility to be a proper “fulltime climber” and it might take a while before you’ll be able to do it again. Looking back at this important period, you managed to redpoint your first two 9b+s, to flash your first 9a and then to onsight your first 9a. Which of these feats did you think would happen first and which ones you had most of your expectations on? I had the most expectation about Change. I just really wanted to do some nice first ascent, something that I would put a lot of effort into. Something that I would find, that I would bolt and clean. I really wanted to go through the whole exciting process of a first ascent. And when it all happened it was just a fairy tale ending for my dream. And once you were done with Change, did it feel like a lot of weight off your shoulders? Was it easier to focus on any of the other objectives you were aiming for? Definitely as soon as I was lowered down from Change, I was already thinking about La Dura Dura, which was the obvious next big project. Your feats have been discussed at length, so we wanted to ask you about any unfinished business of this period. Maybe Biographie (which you tried to flash first and then to send in June 2012), or that project you bolted in the Red River Gorge, or First Round First Minute maybe? For sure I have some unfinished business in the south of Spain, at the Otiñar crag of the Jaén province which is in Andalucía. It’s a route I thought would definitely be 9b+… but there was a Spanish climber, Luis Alfonso Félix, from Cuenca, who came to visit in Jaén and to try the moves of this route. Initially, he broke some holds that I didn’t want to use because I felt they were going to break. But after one broke, there was actually even a bigger hold which made the whole climb much easier. So, the last day of the trip I fell off two times from pretty much the last two or three moves. I hope I will have the time to finish it soon. And I definitely plan to send another 9a onsight… I’m still not very sure that the one I onsighted was really a proper one. I would definitely like to confirm that grade in that style. You haven’t bouldered much in the last year and after Gioia and Terranova (both 8C+/V16) you haven’t climbed many super hard boulders apart from one 8B+/V14, Magnus Midtbø’s Blood Redemption. Is there a reason for this? Do you share Chris Sharma’s view that the hardest boulders of today are very painful and/or condition dependent or just very long so one might as well climb with a rope? I agree with Chris. You could project a very hard route and, on average, you would have some 50 days a year with the route in good conditions. But for a similarly borderline difficulty boulder, you would have 10 days a year. I think this made me focus on routes. I still definitely enjoy bouldering, but mostly short term projects.Sometimes hard sport climbing still feels like bouldering, just on a rope. Especially the projects I have in Flatanger involve some really hard boulder moves. I loved those moves so much that I didn’t mind the fact that redpointing could become a bit of a nightmare. At the same time, I figured out this way of attempting the route using three fixed ropes at three different points of the route. And I just tried those boulder moves until I was able to link them from the highest placed fixed rope. Then I went lower and lower. In the end, the process was less tiring, because trying from the ground is not necessarily much harder than trying from high up, but makes you really tired on the long run because you get to climb more. Even with the kneebar rests, you are getting pretty fresh forearms, but the rest of your body is getting more tired. And when you are climbing in that cave every day, you just feel like you are just going down, physically. So, as I was trying from the middle, the crux was still of a similar difficulty as from the ground, but it was not so tiring. And once I was done with linking from the lowest fixed rope, I climbed the route second go and my body was quite rested, I could take full advantage of all those kneebars. Is this something you had done before Move? No, it’s a new thing. In this route it definitely made sense because the route is so steep and the ground of the cave goes almost in parallel with the roof. So if you want to start from the middle, all you have to do is to jumar about 15 metres. During this year’s trip to Norway, you have bolted also easier lines, well below your onsight level. How did this happen? Where you looking especially for easier lines or were they just appealing lines which happened to be easier than you thought? It was both, some of them were really appealing. Some others I bolted because conditions were bad and I didn’t really know what to do with the time and I thought of opening some lines ground up, using cams. But some of them I bolted also because I knew I needed some nice warm-ups close to the projects and there was an obvious line to be bolted. Some of these warm-up lines turned out to be quite hard, like Illusionist, which turned out to be 9a in the end (note: the name came from the fact that the route gave Adam the illusion it would have been easy). But in general I felt it would be a nice thing to create lines for the climbing community. And I was really happy that I could see people climbing on these routes during the summer. Nice! It sounds like you had a great time in Flatanger this summer too. Have you been tempted to postpone university by another year? No, I wasn’t tempted to. Because I know that if I didn’t have to be home to study, it would be hard to persuade myself into hard training. But as I have to go to school, it’s easier to stay in Brno and really train in a structured way. I will be competing in the last two World Cup events this year mainly to regain the experience and to see how it feels like, but I will not be training especially for them. But we know that you are planning to participate in the 2014 Lead World Cup. With regard to this, are there specific aspects of the competition season that you are looking forward to? 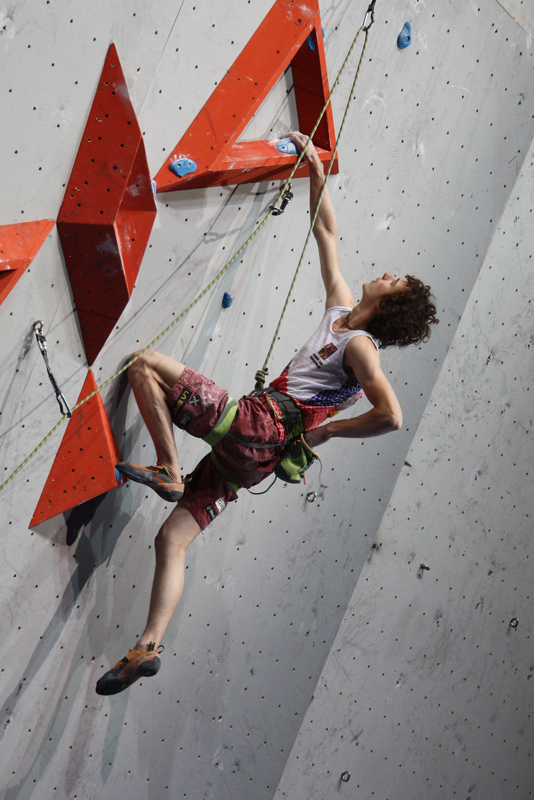 Do you think lead competitions have changed since you won the 2009 Lead World Cup? I don’t think the style has necessarily changed but I think the level has just increased a lot. Maybe there aren’t that many more people climbing at a higher level, but there’s for sure a handful of athletes who are much stronger now than they used to be and this makes the lead comps much more challenging. So there is Ramon, of course, Sachi, Jakob and Sean and I know than they are much stronger competition now than when I won the World Cup. To finish up, we know that you speak a number of European languages. Apart from native Czech and English, your Italian is very good and you can speak German, Spanish and some French too. This all reflects how approachable and well travelled you are, but it’s probably time we learned some Czech! There’s two words we hear often in your videos, I guess they are for “come on” and for “take” at the end of a route. What are they exactly? Well, thanks for the interview and the Czech lesson. Later! Adam Ondra is sponsored by La Sportiva, Montura, Black Diamond, Beal and Entre-Prises.